Safe Havens Adjunct Analyst Steve Satterly encountered this rattlesnake during a school safety assessment in Texas this week. Safe Havens clients have reported concerns ranging from Mountain Lions, Alaskan Brown bears and even aggressive eagles over the years. Like other types of hazards, potentially dangerous animals can be mitigated with appropriate responses. Steve Satterly encountered a rather unusual school safety hazard while conducting a school safety assessment in Texas this week. Steve is part of a team of analysts assessing school safety, security, climate, culture and emergency preparedness for the district. Steve and four district personnel encountered the snake just outside the loading dock door of an elementary school. Earlier this month, another one of our analysts had to address an incident with a water moccasin on a school campus followed soon after by an alligator in a pond adjacent to one of his district’s schools. School officials should keep in mind that different people have varying levels of fear regarding what they perceive as dangerous animals. Though very few people die from snakebite, bear and mountain lion attacks in the United States each year, many people are understandably terrified of these animals. Handling these situations properly can not only reduce the actual level of danger posed by animals but the high levels of fear of animals that many students and staff experience. Our client schools and districts have often reported challenges relating to a variety of wild and domestic animals including bears, mountain lions, white tailed deer, wild pigs, scorpions, poisonous spiders, and a variety of other critters. One of the independent schools we assessed in Africa has a significant problem with eagles snatching food out of the hands of students when they eat outside. Several students have been injured by the talons of these beautiful but massive birds. While many people assume that urban schools do not face these types of issues, a number of our urban school clients have experienced bears and mountain lions on campus. Far more typically, aggressive dogs are a problem. One of our clients had a terrible incident where a kindergarten teacher and four of her students were badly mauled on a playground by a large Rottweiler. Proper training and use of the all hazards approach to school crisis planning can go a long way to prepare students and staff for these types of hazards. 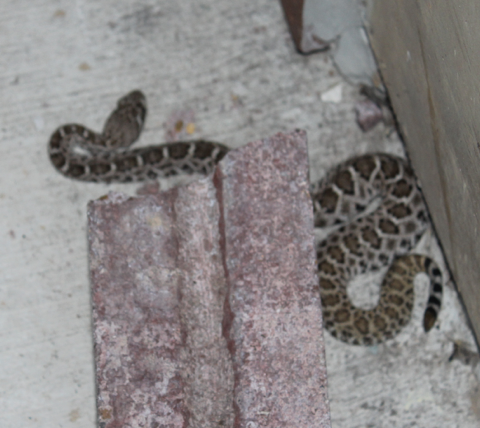 Our Texas client has provided staff with information on the recognition of poisonous snakes to employees. Many schools have reported success with reverse evacuation protocols when bears, dogs, and other animals have shown up on campus. As with other types of hazards, a proper all-hazards approach to school safety can reduce the danger posed by potentially dangerous animals. Calm and rational approaches can help reduce the actual risks of danger as well as the intensive fear that can result from animals on campus.